Down Syndrome Syria: Magical Happiness – Down Syndrome Everywhere! 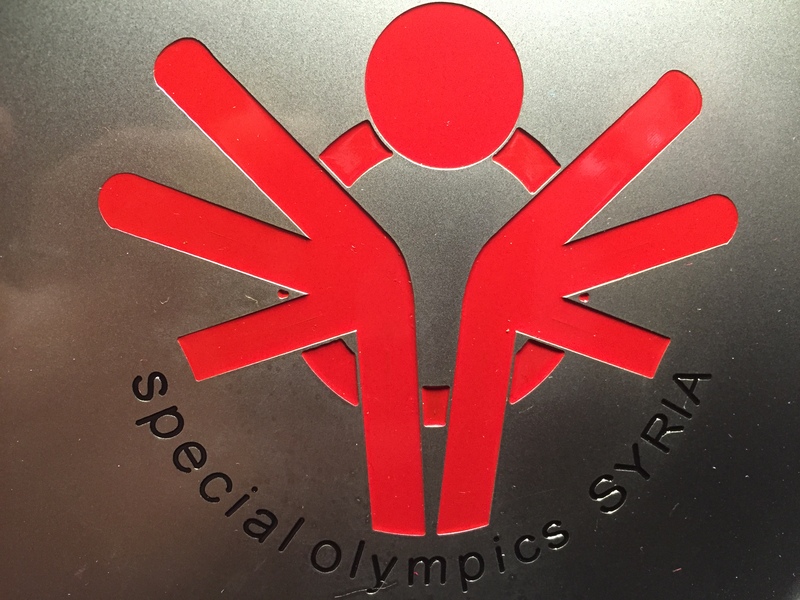 For over a year now, since meeting the Syrian delegation to the Special Olympics World Games in Los Angeles, I have been searching for stories of Down syndrome people in Syria or who have fled as refugees. I want to know what it’s like for them and their families. I want to know if they are targeted or left alone, if they are frightened, or how much they understand what is happening. I want to know if they are making their own impact on the situation. Since I’m not a journalist and don’t work for a humanitarian agency (yet), it’s been tough to contact these families whose lives have been torn apart. But, even amidst the hardship and pain of war, and even with the strong waves of fear and rejection by people who see only one shade of Muslim, there are shining lights and smiles of love that break through all the bad news and remind us of something more important. The first time I felt this was when I read about Mohammed and his family who were in the Arbat refugee camp in Sulimaniyah, northern Iraq. The UNICEF picture was of Mohammed and his father. I read the story of their hardship, having not one but two special needs children. I looked at the photo—a proud Dad with his hand on his son’s shoulder and a hint of a smile on his face—and I knew that Mohammed was a blessing to this family. The smile was there. Unbelievable, given the situation. The Daily Mirror’s Lucy Thornton told the story about Suliman and his family’s 55-day journey to Germany, through eight countries, by foot over mountains and by dangerous boat over the Mediterranean Sea. But, when they landed on the Greek island of Lesbos, the situation was horrendous. The UN refugee camp was inundated with people needing help and staff was unable to keep up. The humanitarian situation was deteriorating. At a particularly low point, Alessandra Morelli, the UNHCR rep on the ground in Lesbos, met Suliman. More importantly, she met Suliman’s smile. Alessandra has worked in war zones for 25 years. Suliman touched her heart and Alessandra was able to find the way forward in her difficult situation. I have not been able to talk to her, to ask her about the experience, but I can imagine it for myself. I have experienced the power of my own Down syndrome son’s smile when I am low. His sixth sense for the distress of others is one of his strongest. I know what Alessandra felt when Suliman wrapped his arms around her for a hug and gave her his full-face smile—there was a non-verbal exchange of energy, of love, of hope, of confidence, optimism, and inspiration. There is only one source for these energies, and that is love. Suliman gave love, freely, openly, non-judgmentally, unconditionally. Suliman hugged the UNHCR representative and changed the course of life for thousands of refugees. Suliman smiled at everyone he met and brought light to a dark situation for thousands of people. I get so excited to tell stories when I think about how many Suliman’s there are all over the world. Down syndrome has no borders or boundaries; it is global. Stay with me as I try to spread the word about the gift of Down syndrome and the #RevolutionOfTheHeart.